Women in STEM (WIS) is an interdisciplinary organization that seeks to create community building opportunities for women faculty, staff, and students at California State University Chico in Chico, CA. WIS was founded in the Fall of 2017 through the College of Natural Sciences. 1. Celebrate who we are as women in STEM. 2. Broaden our collective understanding of what we do. 3. Support and inspire the current and next generation of women in STEM fields. Margie T. Borra-Garske describes her experience in science throughout her education and career. She talks about her involvement in STEM and various science programs. 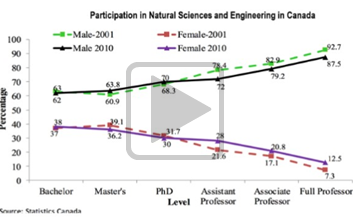 She also discusses the limited number of women in all sciences. Very few women have won the Nobel Prize in various sciences, which also shows the gender imbalance. She explains the possible reasons behind this imbalance, and how it could change in the future.